Honest review...no compensation received for this review. 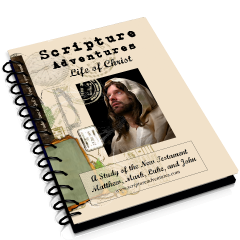 Jellyfish and I used Scripture Adventures for our Bible curriculum for several years. I chose it because it is more of a systematic approach to studying the Bible, instead of subject study. It is a computer download and is only $20, but you do have take into account the cost of printing it (all 277 pages) on your computer. Jellyfish loves to study the Bible; I hope he always has that same excitement for God's word. I believe the influence of good curriculum choices, such as this one, will help fuel that fire to his interest & curiosity! If you're looking for a simple, but thorough study of God's word, this is for you. 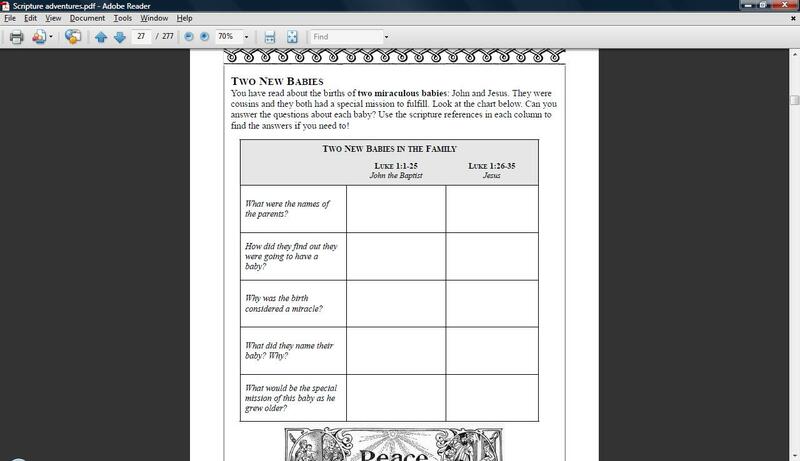 Each section has reading from the Bible, comprehension questions, and memory work. 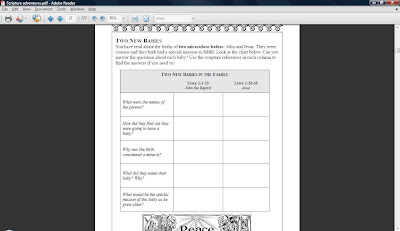 I really love the graphic organizers (as you can see below). Graphic organizers really do organize our thoughts and help us remember information. You can choose KJV or NIV version. There are hands on projects, presentations, memory work, and also historical maps and charts. I think it is the simplicity of it that is the attraction for me. It puts the focus on God's Words and uses the activities to ensure comprehension. You can download their table of contents and sample pages for free to see if it works for you. \They have redesigned their website and are adding new products all the time! Click below to check it out!